In the case of turfgrass and lawns for public parks or private gardens aesthetic criteria come first. Fertilization should take place at specific times of year because the nutritional requirements of a lawn are never constant. They depend on its growth and development throughout the year. Soil amendment, if necessary, will be applied during rest periods and nutrition should take place when the turf is growing and chiefly twice a year: first of all at the beginning of spring time when the lawn must be supplied with nitrogen mainly, which is necessary for its general appearance. Then in the autumn period, when lawns should be supplied with phosphorus and potassium, necessary for their development. The installation of grassed areas is the right moment when consequent applications of organic amendments will be carried out in order to establish ideal conditions for the development of the rhizosphere. They will then be maintained by regular inputs sustained with mechanical ventilation operations. The preserved behaviour of micro nutrients in the rhizosphere will be a guarantee of success, resistance and viability of the crop. 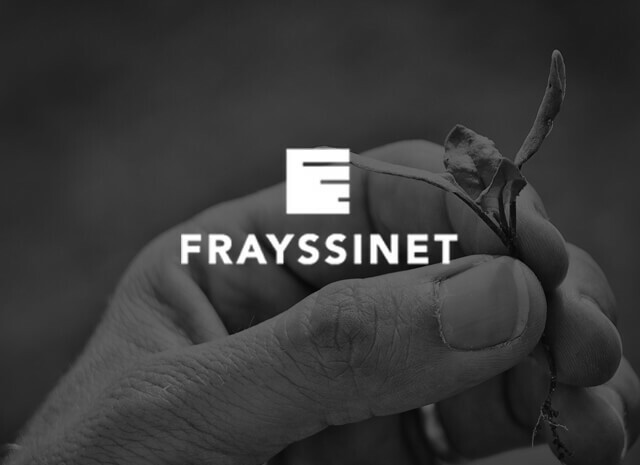 The NSP concept (Nutrition and Stimulation Program) was born from Frayssinet research on the complex mechanisms of soil-rhizosphere-plant balance. Only an approach to the system as a whole provides a complete analysis of the behaviour of this vibrant and dynamic organization. Centered on plant growth and health, our understanding of fertilization is based on the combination of product specialties and their specific modes of action to meet the needs of users. 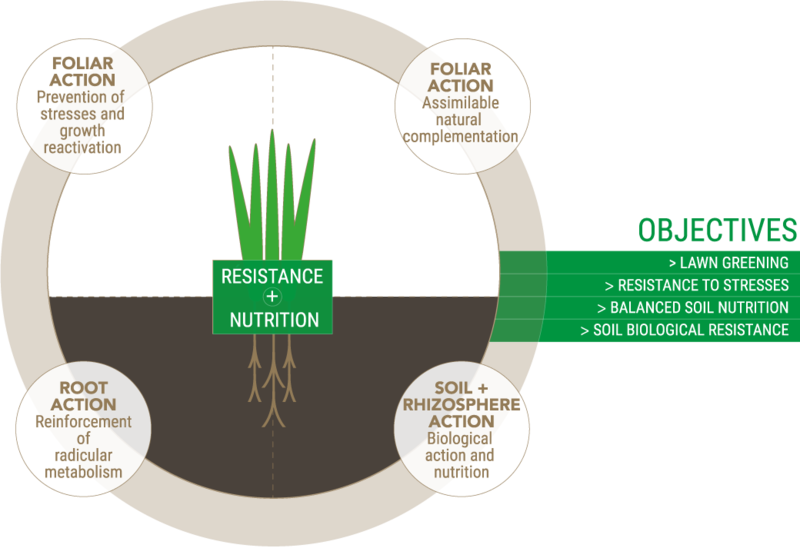 The Program is centered on 3 targeted actions: Soil-Root-Foliar. It recommends the use of products of natural origin (solid organic fertilizers and liquid supplement-stimulators) involved in the improvement of physiological mechanisms (mineral and water feed) and plant resistance (aerial and root systems), especially in stress conditions.